Hey friends! 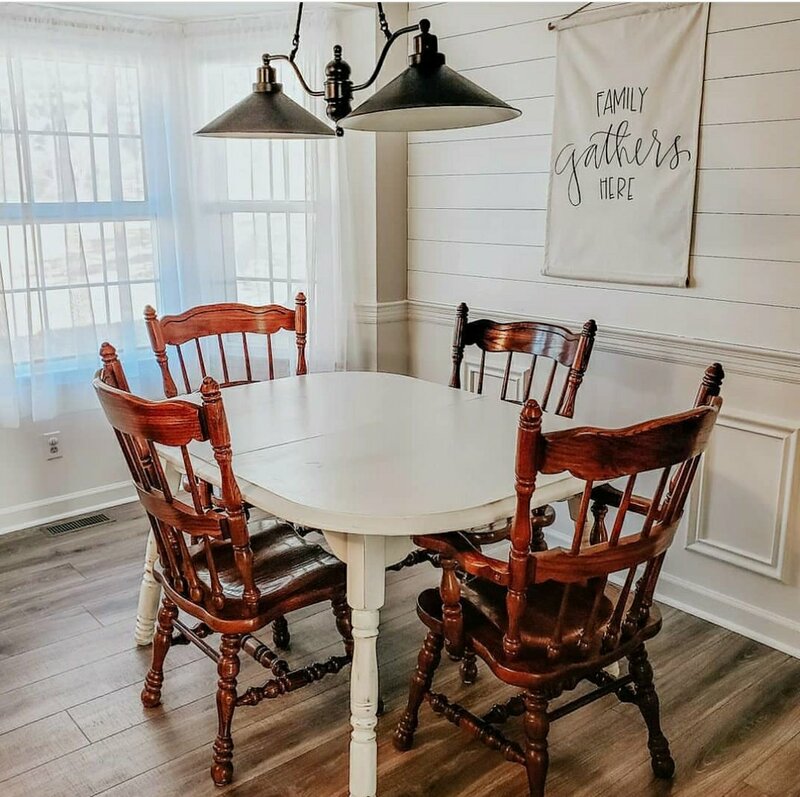 Today I am going to share our DIY shiplap we have done in a few places in our home already. It is easy, affordable and makes such a statement! If you want the fixer upper look, shiplap is a MUST! So first thing we did was measure our wall we wanted to do. We went to Lowes and picked out our plywood. We chose 1/4″ thick underlayment plywood. It was about $13 for a 4ft x 8ft piece. Lowes was great and ripped it into 6 inch strips for us. If you don’t have a saw at home you could also have them cut it to the exact size you need, length wise too. We got it home and lightly sanded the edges of the wood to give a nice smooth surface. We then started at the bottom of our wall, working our way to the top. We put the bottom piece directly over the wall and my husband nailed it in a few different spots. We then took the next piece, placed it above that piece and put pennies in between to create a tiny gap. We worked our way to the top and got as close as we could. Now here is where having a miter saw comes in super handy… chances are your walls are not going to be exactly even to cover so you will need to measure and cut that top piece to fit. Once all the pieces were nailed in, we painted them and that was it! You could use wood putty to fill in the nail holes if you want a more finished look, but we were going for a more authentic look here. I hope you enjoyed this simple tutorial to create a farmhouse style wall in your own home on a budget! If you have any questions, be sure to comment!